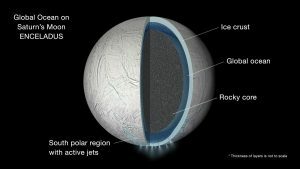 Enceladus, sixth-largest moon of Saturn, NASA scientists report that Enceladus is habitable. Who says NASA has lost interest in the moon? Along with rumours of a hovering lunar base, there are reports that the agency is considering a proposal to capture an asteroid and drag it into the moon’s orbit. Dec. 4, 2012 — Researchers have discovered what may be the earliest dinosaur, a creature the size of a Labrador retriever, but with a five foot-long tail, that walked the Earth about 10 million years before more familiar dinosaurs like the small, swift-footed Eoraptor and Herrerasaurus. “The truth of that historic event has never been told. We did go to the moon- but the events that transpired were kept secret and officially remain secret to this day.